This photograph, taken around 1990, will have happy memories for many Old Almondburians. 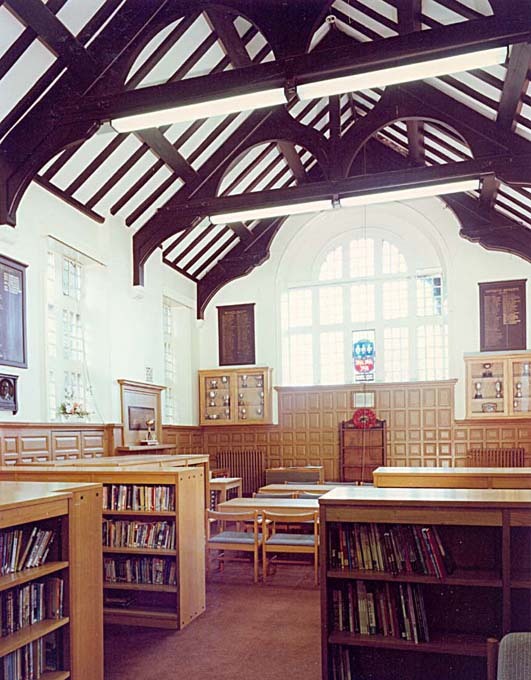 Built as a 'Big Schoolroom' as part of the major 1883 extensions, this impressive room subsequently became the School Library thanks to the efforts of Leonard Ash. Later it reverted to its role as a classroom but is now again used as a library area.